Anna Hotel. Known to be Munich‘s first design hotel. You can book it here. Eurostars Book Hotel. 4* hotel with some reminders of its theme: Books. You can book it here. Mercure Hotel Munich City Centre. 4* hotel close to the main station. You can book it here. If looking for a luxury retreat the Schloss Elmau is 1.5hrs away from Munich and offers culture and wellness in a nice surrounding. Dallmayr Restaurant. Gourmet restaurant at Munich‘s institution Dallmayr. Oskar Maria. Charming bistro with high ceilings in the house of literature. Augustiner. For Bavarian food in the pedestrian zone. For Italian food exploration visit Eataly. It is located in the old Schrannenhalle, an old cereals hall and Munich‘s oldest iron-constructed building. The main plaza of Munich, Marienplatz, is the location for all kinds of events and gatherings. Relax while strolling around in the English Garden. Shopping for food and souvenirs at Dallmayr. For more culinary goodies go to the daily market of Viktualienmarkt. The shopping complex Fünf Höfe was designed by architects Herzog & de Meuron and houses a lot of nice little shops. At premium department store Ludwig Beck you can find fashion, food and more. Deutsches Museum. Huge museum about science and technology. To see masterpieces by e.g. Albrecht Dürer visit the Alte Pinakothek. For more masterpieces of artists you can just cross the street and visit the Neue Pinakothek. And to see exhibitions on modern art, graphics, design and architecture the Pinakothek der Moderne is also close-by. 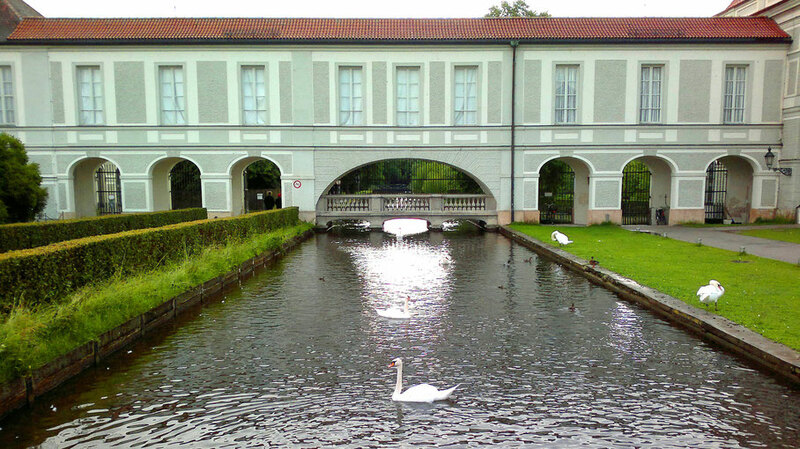 A little trip to the palace Nymphenburg can be very nice. Sometimes classical concerts are performed in its halls.